V-day is coming up soon, which means all of the lovey dovey things, and pink and red EVERYWHERE. 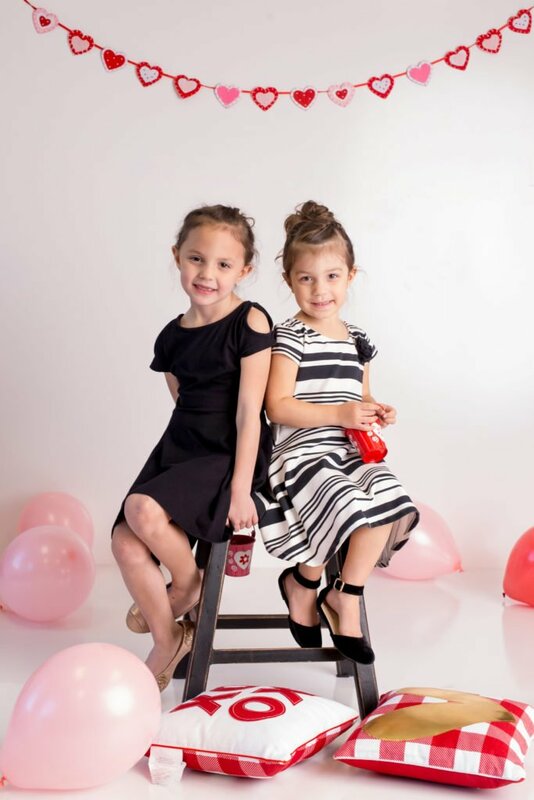 My littles love Valentines Day, mostly because they are the girliest of girls, and they get to wear all of the hearts, glitter, and pink tons for this holiday. 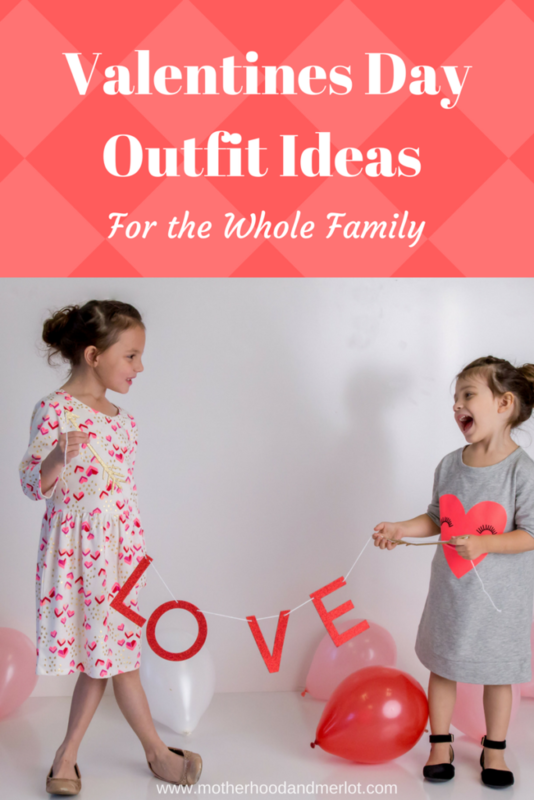 Here are some Valentines Day Outfits for the whole family. *All photos taken by Ariel Miles Photography, and all decor in the shoot was provided by Oriental Trading Company. Some links are affiliate links. We did a fun Valentines Day shoot with a girlfriend of mine, and the results are just the best! I am loving their sweet smiles, as much as I love their adorable outfits. These next outfits are some of my favorites, and they are so easy to wear. 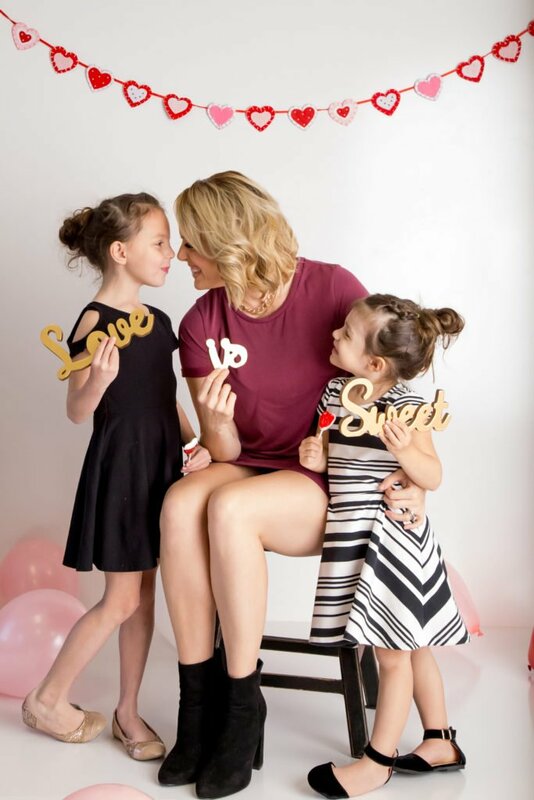 Slip on dresses for the girls, and a t-shirt dress for mom make for simple but chic Valentines Day outfits. How seriously cute are these girls? Thanks to Oriental Trading Co for the cutest decor too. Those pillows are my fav! 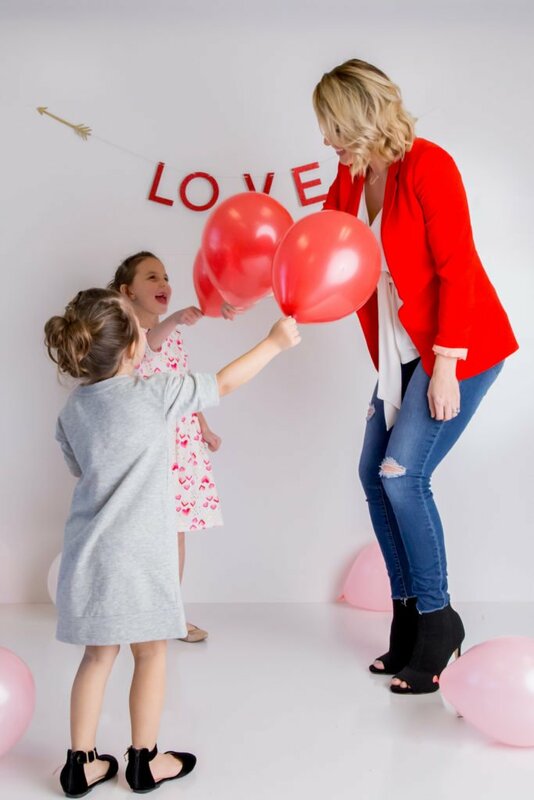 Now, I am not a fan of Valentines Day, but I do love to get my kids some little treats, and dressing up for fun never hurt anyone. If you need some Valentines Day gift ideas, I love these that I shared last year! Oh you three are the cutest! My fav is your bright pink dress LOOOOOOOVE IT!! love the looks! and I agree we do more for the kids for V-day than for ourselves! but when we do go out for a date night around the holiday it’s nice to go flirty and fun! Love the glitter! And I love how simple, but cute the girl’s dresses are! I love their dresses in the first picture (love all the photos 😉), and those pillows are adorable. All of your outfits are gorgeous. What adorable outfits!! Love it!! Ahhh! All of these looks are fab! And love the grey dress… my girl would love it too! So many sweet pictures! I love all your outfits too! Isn’t Valentine’s Day so fun to dress for? ?